The Mount Hood National Forest is 62 miles (100 km) east of the city of Portland, Oregon, and the northern Willamette River valley. The Forest extends south from the Columbia River Gorge across more than 60 miles (97 km) of forested mountains, lakes and streams to the Olallie Scenic Area, a high lake basin under the slopes of Mount Jefferson. The Forest includes and is named after Mount Hood, a stratovolcano. The Forest encompasses some 1,067,043 acres (4,318.17 km2). Forest headquarters are located in Sandy, Oregon. A 1993 Forest Service study estimated that the extent of old growth in the Forest was 345,300 acres (139,700 ha). The Forest is divided into four separate districts - Barlow (with offices in Dufur), Clackamas River (Estacada), Hood River (Mount Hood-Parkdale), and Zigzag (Zigzag). Mount Hood National Forest was first established as the Bull Run Forest Reserve in 1892. It was expanded in 1893. It was merged with part of Cascade National Forest on July 1, 1908 and named Oregon National Forest. The name was changed again to Mount Hood National Forest in 1924. The 1952 film Bend of the River was partly shot in Mount Hood National Forest. Other common recreational activities in the Mount Hood National Forest include fishing, boating, hiking, hunting, rafting, horseback riding, skiing, mountain biking, berry-picking, and mushroom collecting. A portion of the Pacific Crest Trail passes through the National Forest on the flanks of the mountain. Mount Hood is a popular destination for mountain climbers. Mount Hood National Recreation Area was established within Mount Hood National Forest on March 30, 2009. The recreation area comprises three separate units. There are eight officially designated wilderness areas within Mount Hood National Forest collectively adding up to 311,448 acres that are part of the National Wilderness Preservation System. Acreages are as of 2011. A campaign which began in 2004 and is currently still running as of December 31st 2016. Mt. Hood has attempted at becoming a National Park since the early 20th century. ^ "The National Forests of the United States" (PDF). ForestHistory.org. Retrieved July 30, 2012. ^ a b c d "About Us". Mt. Hood National Forest. U.S. Forest Service. Retrieved 2007-09-06. ^ "History of the Mt. Hood National Forest". Retrieved 2018-12-05. ^ Davis, Richard C. (September 29, 2005). "National Forests of the United States" (pdf). The Forest History Society. ^ "Mount Hood Quarter Introduced". United States Mint. ^ Michael Milstein (September 20, 2007). "Rethinking camping—A Forest Service plan could dramatically change Mount Hood's offerings". OregonLive.com. The Oregonian. Retrieved 2007-10-06. ^ "Mount Hood National Recreation Area, Oregon". Public Lands Information Center. Retrieved March 9, 2012. 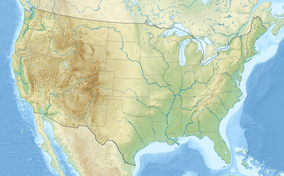 Wikimedia Commons has media related to Mount Hood National Forest.